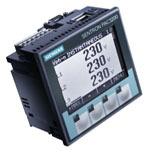 The SENTRON PAC4200 is a feature packed power monitoring device that is suitable for use in industrial, government and commercial applications where basic to advanced metering, logging, and I/O is required. The meter may be used as a stand alone device monitoring over 200 parameters or as part of an industrial control, building automation or global enterprise wide monitoring system. The SENTRON PAC3200 is a powerful compact power monitoring device that is suitable for use in industrial, government and commercial applications where basic metering and energy monitoring are required. The meter may be used as a stand alone device monitoring over 50 parameters or as part of anindustrial control, building automation or global power monitoring system. 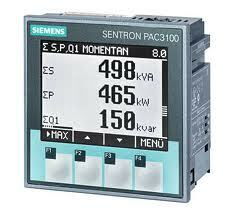 SENTRON PAC3100 it’s quick and easy to get started with digital measuring systems. Our entry model supplies you with more than 30 measured values on energy consumption and basic electrical variables, dispensing with the need for a multitude of individual analog measuring instruments. Thanks to its integrated communication interface and its digital inputs and outputs, flexible system integration and adjustments in the plant are always possible with SENTRON PAC3100. • Configurable from the front of the device or using parameterization software. 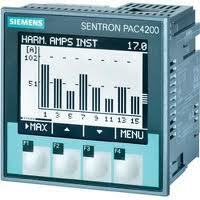 with simple devices with RS485 interface, such as the 7KM PAC3100, via Ethernet (Modbus TCP).